I know we all hate the Monday blues, so I figured we should jazz it up with something shiny and new! During butter LONDON's 30% off sale, I went a little overboard and purchased a few too many polishes. But who am I kidding? 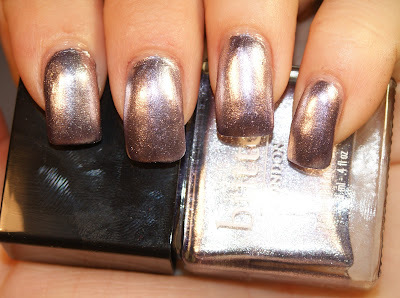 You can never have too many BL polishes! My favorite out of the bunch, due to my immense love of the Royal Family, was Lillibet's Jubilee. Created to celebrate Queen Elizabeth II's 60th year on the throne, it's a stunning lavender foil nail polish with hints of silver and champagne, depending on the light. See? No matter how you look at it, it's drop dead gorgeous! With the London Olympics coming up, will you be rocking Lillibet's Jubilee to commemorate them? 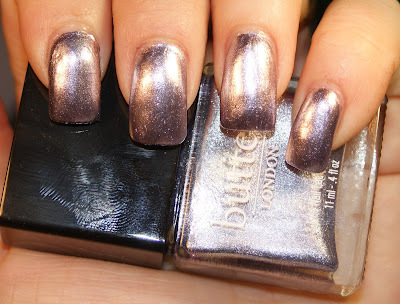 Or another butter London color? Let me know in the comments section!